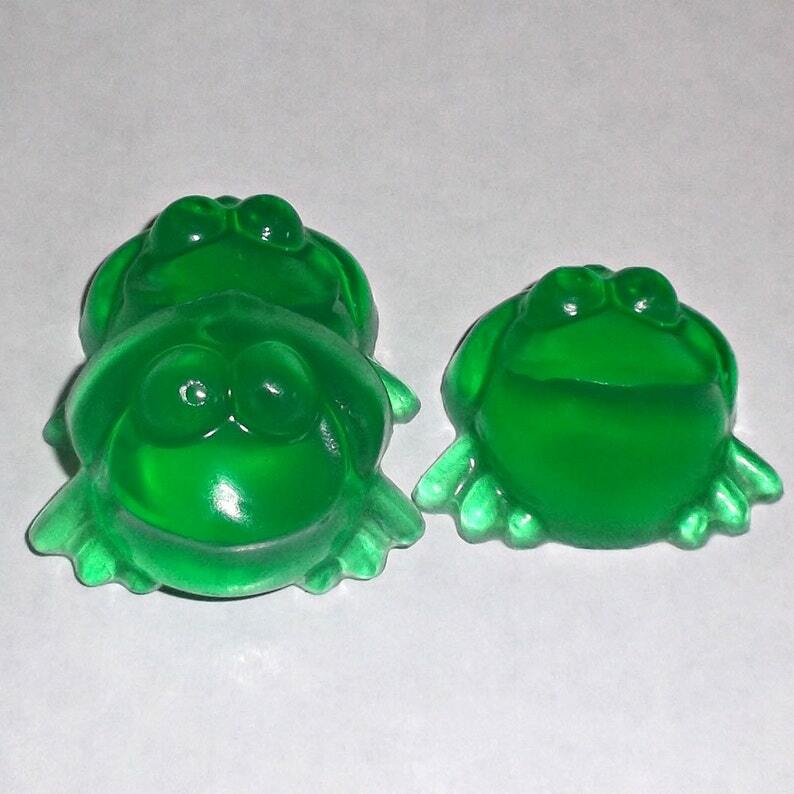 Frog soap favors are perfect for a frog baby shower or frog party. Frog soap favors will add to your decor, are unique, and are sure to be a hit at your frog baby shower or frog party. Also great for a fairy princess birthday party. Includes favor tags. Set of 10 frog soap favors. Translucent green. Your choice of scent. Packaged in a cellophane bag with a ribbon, "DO NOT EAT" tag, and favor tag. Contains: Glycerin (kosher, of vegetable origin), Coconut Oil, Palm Oil, Safflower Oil, Purified Water, Sodium Hydroxide (saponifying agent), Sorbitol (moisturizer), Sorbitan oleate (emulsifier), Oat protein (conditioner), Fragrance, Titanium Dioxide, Color/Iron Oxide/Mica. May contain FD&C/D&C/Lake colorants.